“ATTENTION BODILY FLUIDS, ATTENTION ALL BODILY FLUIDS. PLEASE REPORT TO THE NASAL AREA. 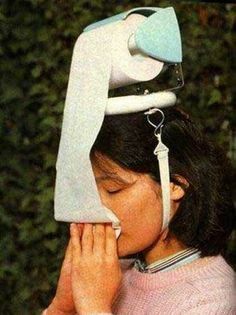 THERE IS A HEAD COLD IN PROGRESS AND WE NEED ALL PERSONNEL. THE FIRST RESPONDERS SHOULD GO IN THE DIRECTION OF THE THROAT. COAT THAT THING LIKE A BACKYARD SLIP ‘N SLIDE. WE NEED TO TRY AND MAKE THIS THICK SO SHE CAN HARDLY SWALLOW. GROUP TWO, AND I DO HOPE YOU CAN ALL FIT IN THERE TOGETHER, YOU NEED TO BLOW ON HER THROAT EVER SO GENTLY. I REPEAT, BE A FEATHER. WHEN YOU HEAR HER COUGHING LIKE A DOG BARKING AT THE MAILMAN, MARRIED TO A BAD CASE OF EMPHYSEMA , YOU’LL KNOW YOU’VE DONE YOUR JOB. NEXT GROUP, PLEASE REPORT TO THE NASAL PASSAGES. THIS IS NOT CALIFORNIA, SO MAKE LIKE A FAUCET. SHE SHOULD HAVE A STEADY STREAM JUST DRIPPING ON OUT OF THERE. THINK NIAGRA FALLS ON STEROIDS. NAVY SEALS, HEAD RIGHT INTO THE SINUSES. GET DOWN IN THERE, DO THE WHIP, DO THE NAE NAE, WHOOP IT UP. WE’RE LOOKING FOR A HEADACHE AS ALL ENCOMPASSING AS DONALD TRUMP’S STUPIDITY. ALL OTHER PERSONNEL, YOU LAZY BASTARDS, DO WHAT YOU CAN TO MAKE HER UNCOMFORTABLE FROM HEAD TO TOE. LOW BACK IS A WEAKNESS, SO GO THERE. HIT THE NECK. HAMSTRINGS. WHATEVER YOU SLACKERS GOT, GIVE IT.